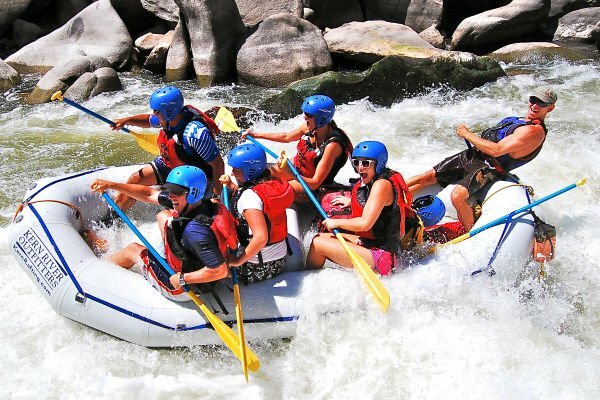 Our two-day Lower Kern rafting trip is the premier overnight rafting trip in California. Both days feature plenty of fun and Class III-IV rapids. Even if you’ve never been river camping or on an overnight rafting trip before, you’ll have a great time spending an evening at our spacious, riverside camp. 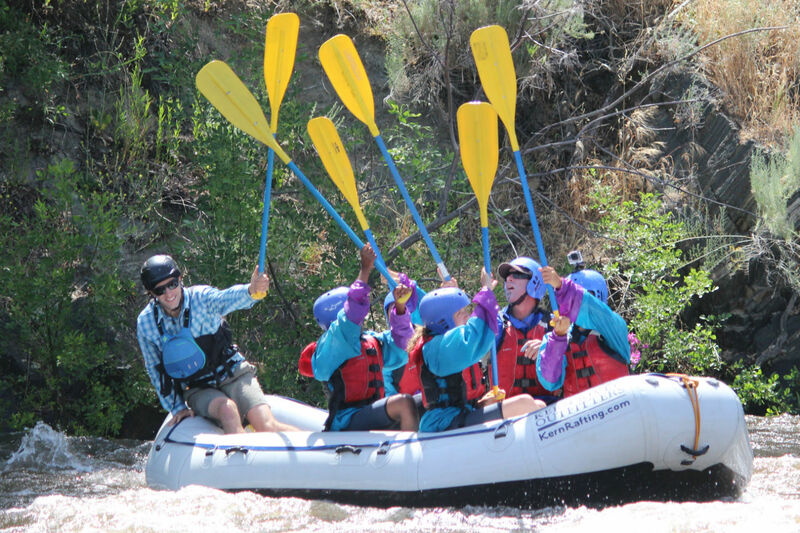 On a fill in basis we offer Camp Run trips on the Lower Kern. These often join a two-day trip in progress. 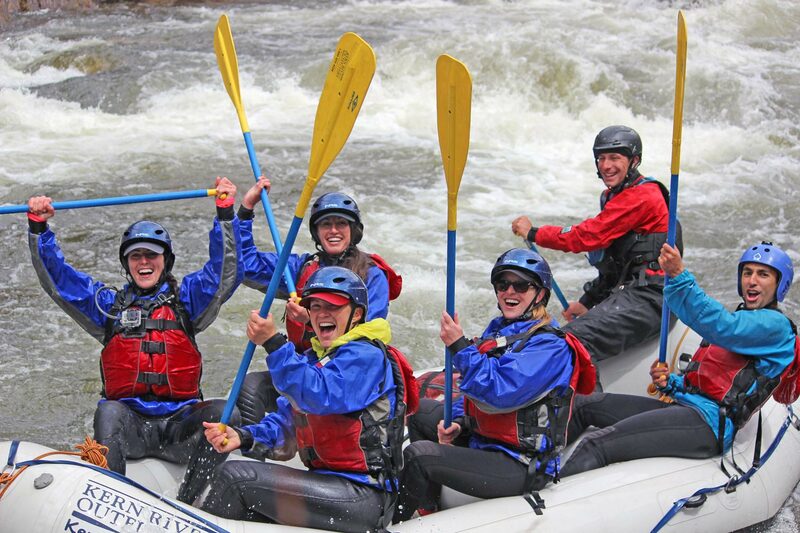 Our camp run is a terrific one-day trip for those seeking an exciting day of whitewater, but reasonable enough for those with less experience. The trip begins in the rugged Kern landscape, beautiful granite rocks, pictographs, and ends with exhilarating, fun whitewater right above our camp. On a fill-in basis we offer Big Five trips on the Lower Kern. These often join a two-day trip in progress. The Big Five begins near our campground and ends ten miles downstream at Democrat take-out. We break the day up with a riverside lunch, and shortly after, get right back into it with more Class-IV action. Our half-day trip originates below Lake Isabella and ends at Miracle Hot Springs. 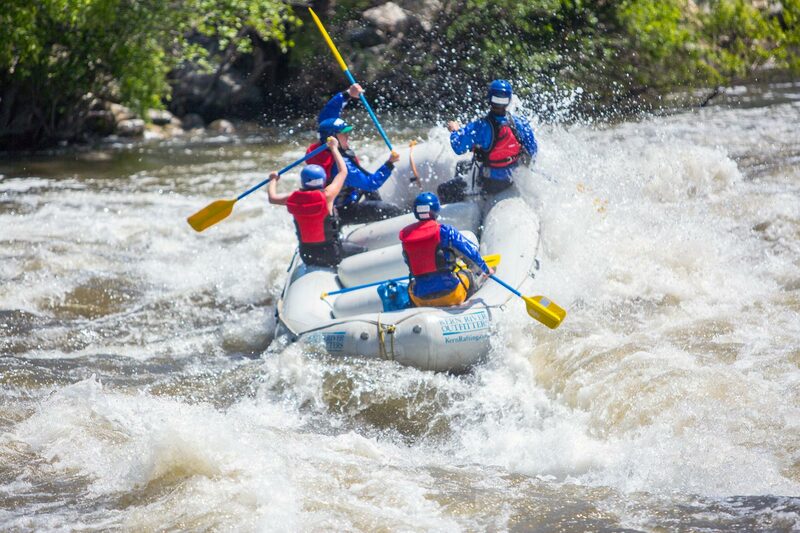 This trip features Class III rapids and is ideal for people who want to see the river but aren’t enthusiastic about tackling the rivers biggest rapids. It is a wonderful introduction to the Lower Kern.